CLEARFIELD – This season’s leaf pick up will end soon in Clearfield Borough, and Christmas trees will not be disposed of by the borough street department. Those two topics were discussed at Thursday’s Clearfield Borough Council committees meeting. The topic of leaf pick up was brought up by head of the street department, Steve Biancuzzo. He asked that council set a final date for leaf pick up in the borough. He indicated that his men have been spending a lot of time and manpower on leaf pick this season. Borough Operations Manager clarified that statement, stating that $18,000 in man hours and such were spent in November just on leaf pick up. Stott recommended that the leaf vac be put away for the season on Wednesday. Residents are encouraged to bag leaves after that. The borough will continue with bagged leaf pick up until Dec. 22, at which time residents must dispose of their own bagged leaves. Council member Jim Kling stated that the original intent of leaf pick up was for the borough to dispose of the leaves between sidewalks and streets. He stated it was to keep the street drains from clogging. “We are not landscapers,” said Kling. Also discussed was Christmas tree disposal. In the past, sites were offered in the borough for residents to dispose of their old Christmas trees. Biancuzzo said that people have been putting trees out for curbside pickup, which was not a service that was offered. Another issue in the mix included timely drop off by residents. 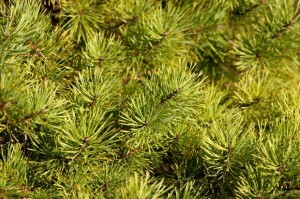 It was indicated that some trees were dropped off as late as February or March. Council member Fred Wisor opposed Christmas tree disposal by the borough. The rest of the Public Works Committee agreed not to pick trees up or offer disposal. The item will come before council for a full vote next week. I have to agree with the above post. ALL elected officials need reminded that they are just that, ELECTED!! They are not entitled to their positions and can be voted out just as easily as they were voted in. I think Mr. Wisor needs a course in customer service!! Personally, we own an artificial tree and it is of no significance to my family whether the boro. disposes of trees or not. However, I find Mr. Wisor’s comment very offensive! I think a good reason for you and your employees to dispose of the Christmas trees is because we the taxpayers PAY YOUR SALARY!! In addition, to paying your salary we elect you, and the rest of the county employees into the positions you hold. I realize that most of you feel like you are entitled to your position and that you are the boss but please keep in mind that is not the case!!! If you don’t like the idea of us being your employer maybe you should find another job, otherwise whether or not our tax dollars are used to dispose of Christmas trees is not your decision but ours as tax paying, voting citizens!